Description: Like a string of beads on a needle, this horizontal timeline features putting the time in irregular circles and connecting the time and the corresponding text area with a curved dotted line. Free download and open the timeline on Edraw software so you can apply your preferences. Through our sharing community, you can share your awesome creations and inspire other diagram designers. 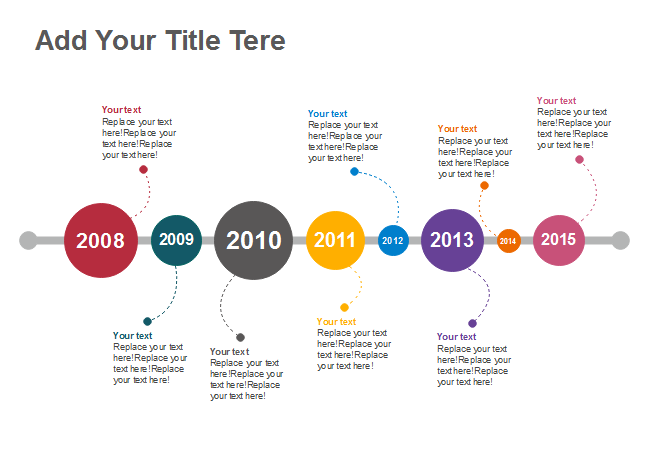 All timeline templates are in vector format allowing users to edit and customize. Explore whatever fits you best and download for your own use.